MOJAVE, Calif. (FAR/Mars Society PR) – Student-built rockets will streak into the stratosphere in Spring, 2018 as college and university engineering teams from around the world compete for $100,000 in prizes in a contest sponsored jointly by the Mars Society, headquartered in Denver, CO and the California-based Friends of Amateur Rocketry (FAR), officers announced today. The FAR-MARS Prize will grant $50,000 to the team whose bi-propellant liquid-fueled rocket comes closest to reaching 45,000 feet (13,716 meters). A second $50,000 prize will go to the team that comes closest to hitting that same altitude with a rocket-powered by liquid-methane and liquid-oxygen, announced Robert Zubrin, president of the Mars Society, and Mark Holthaus, director and treasurer of FAR. “If one team can achieve both goals with the same rocket, they’ll win both prizes totaling $100,000,” Holthaus said. The newly established Alliance for Space Development (ASD) wants to introduce a bill in Congress offering $3.5 billion in prize money for companies capable of flying fully reusable human spacecraft into orbit. 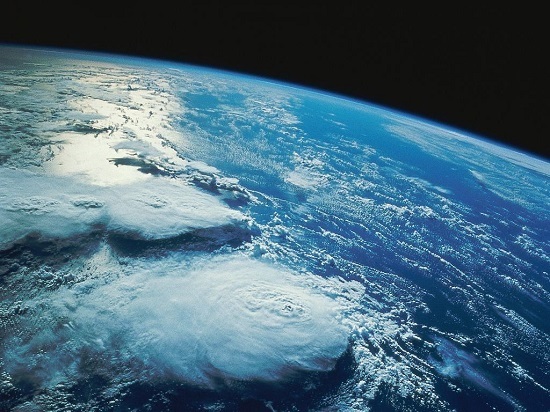 There seems to be a trend of prominent space experts challenging each other to debates. First, New Horizons Supremo Alan Stern challenged Neil deGrasse Tyson to debate whether Pluto should be restored to planetary status. Stern, whose mission will explore Pluto next year, believes it should be elevated from dwarf planet status. Tyson, the driving force behind Pluto’s demotion, refused to debate the subject. Now, it’s Robert Zubrin’s turn. The Mars Society president has challenged Ad Astra Rocket Company Founder Franklin Chang-Diaz to a debate over how to best explore Mars. Near as I can tell from the press release, it would give Zubrin a chance to demonstrate that Ad Astra’s plasma-based VASIMR engine, which Chang Diaz is promoting for rapid trips to Mars, is pretty much a fraud. Wow, who could turn down an invitation like that? 2. THURSDAY, March 13, 2014:, 7-8:30 PM PDT (10-11:30 PM EDT, 9-10:30 PM CDT): We welcome back DR. ROBERT ZUBRIN regarding the Mars Society Mars Artic 365 campaign. 3. Friday, March 14, 2014, 9:30-11 AM PDT (12:30-2 PM EDT; 11:30 AM-1 PM CDT): We welcome ROBERT WALKER for more on artificial gravity and his space articles published on www.science20.com/space. 4. Sunday, March 16, 2014, 12-1:30 PM PDT (3-4:30 PM EDT, 2-3:30 PM CDT). DR. DOUG PLATA returns to discuss his Cislunar One concept and trades. 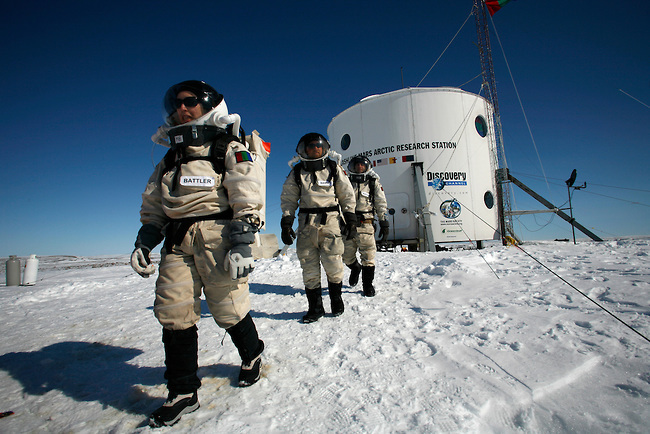 LAKEWOOD, Colo. (Mars Society PR) — The Mars Society is seeking six volunteers to participate as members of the crew of the Flashline Mars Arctic Research Station (FMARS) during an extended simulation of human Mars exploration operations on Devon Island in northern Canada (August 2014 through July 2015). As currently planned, the crew will consist of four individuals chosen primarily for their skills as field scientists in areas including geology, geochemistry, microbiology, biochemistry, and paleontology. Two additional crew members will be chosen primarily for their skills in engineering areas. The ability of crew members to support both roles is considered a strong plus. BOULDER, Colo. (Mars Society PR) – Today during the 16th Annual International Mars Society Convention, the Mars Society announced the launch of an international engineering competition for student teams to propose design concepts for the architecture of the Inspiration Mars mission. The contest is open to university engineering student teams from anywhere in the world. LAKEWOOD, Colo. (Mars Society PR) — The Mars Society announced today the selection of nine crew members chosen to participate in the Mars Arctic 365 mission (Phase 1) this July at the Flashline Mars Arctic Research Station (FMARS) on Devon Island in the Canadian High Arctic. This will be the thirteenth crew to inhabit the FMARS facility since its establishment in July 2000, continuing the Mars Society’s pioneering work in organizing sustained field exploration while operating under Mars mission constraints. 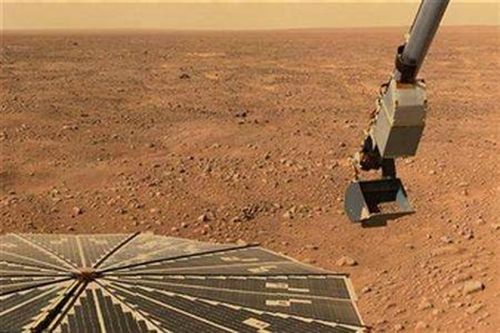 Scheduled to be in Canada for two weeks, the new crew will install key equipment and infrastructure and also upgrade systems needed to support the one-year Mars surface simulation expedition (Phase 2), which will begin in the summer of 2014. The visit to FMARS is also expected to include a limited duration Mars simulation exercise to provide crew members with an opportunity to gain first-hand experience with technical and human factor considerations which are likely to be faced by the first human explorers to the Red Planet. 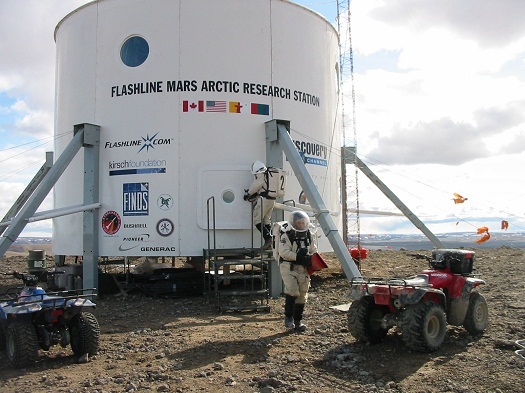 LAKEWOOD, Colo. (Mars Society PR) — The Mars Society announced today that it is initiating an effort to conduct a one-year simulated human Mars exploration mission in the Canadian high Arctic at its Flashline Mars Arctic Research Station (FMARS). Situated at 75 degrees north, roughly 900 miles from the North Pole, FMARS is located adjacent to a 20 kilometer meteor impact crater in the midst of a polar desert that is known to represent one of the most Mars-like environments on Earth. 1. Monday, Feb. 20, 2011 2-3:30 PM PST (5-6:30 PM EST, 4-5:30 PM CST): We welcome back DR. JEFF BELL for policy, news, & NASA budget perspectives. 2. Tuesday, Feb. 21 2012, 7-8:30 PM PST (10-11:30 PM EST, 9-10:30 PM CST): We welcome back DR. BOB ZUBRIN to discuss his new books, the proposed FY13 NASA budger and Mars program. Read Bob’s latest article about the Mars program and the FY 13 budget on the National Review Online at www.nationalreview.com/articles/291099/obama-wrecks-mars-program-robert-zubrin. 3. Friday, Feb. 24 , 2012, 9:30-11 AM PST (2:30-2 PM EST, 11:30AM-1PM CST) : We welcome DR. JAMES BICKFORD to discuss his antimatter research and advanced propulsion. Dr. Bickford is with Draper Labs. 4. Sunday, Feb. 26, 2012, 1–3 PM PST (3-5 CST PM, 4-6 PM EST). We welcome back MARK WHITTINGTON for policy, budget perspectives, and more. 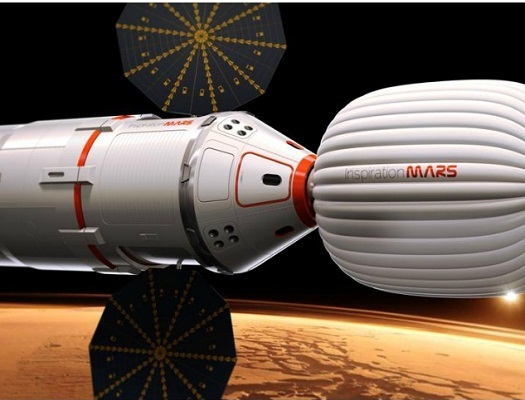 Tuesday, June 28, 2011, 7-8:30 PM PDT: We welcome back Dr. Robert Zubrin to discuss his Mars manned mission plans. Thursday, June 30, 2011, 9:30-11AM PDT: We welcome Jim Maser of Pratt Whitney to discuss aerospace workforce issues for the United States. Mr. Maser has received significant press regarding his thoughts and comments on this topic over the past few months. 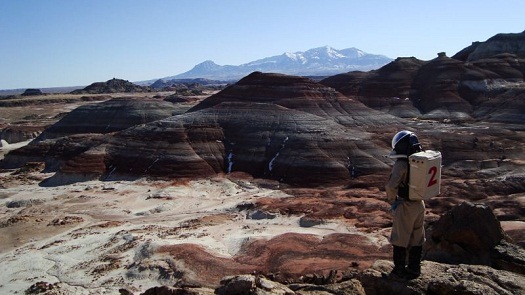 Friday, July 1, 2011, 9:30-11AM PDT: We welcome back Lucinda Land, Executive Director of The Mars Society to discuss Mars, the upcoming Mars Society Conference and more. 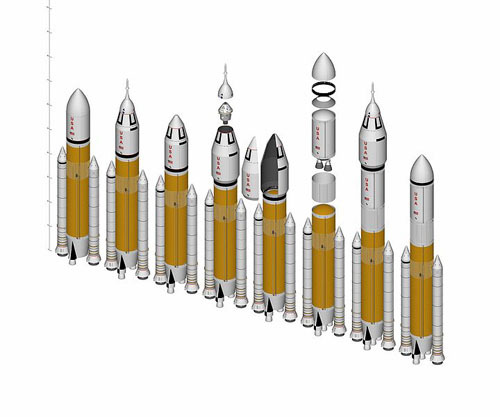 Sunday, July 3, 2011, 12-1:30 PM PDT: We welcome Grant Bonin to discuss his recent article in The Space Review about the efficiency of smaller rockets as compared to heavy lift rockets. You can read his article at www.thespacereview.com/article/1861/1. Mars Society Founder Robert Zubrin has proposed something he calls the “transorbital railroad” to jump start space exploration and settlement. Although he invokes the railroads that opened up the West, it’s really a proposal known to anyone who has ever shopped at Costco: buy in bulk. 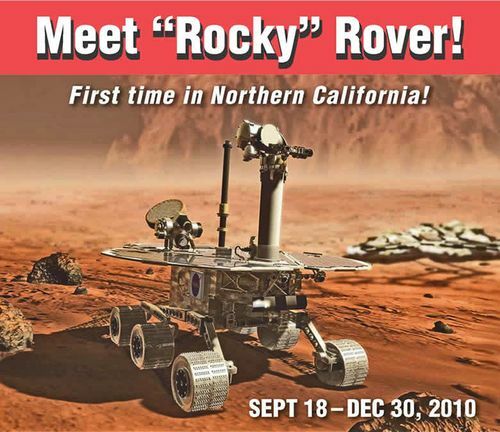 My good friend Lucinda Land of the Mars Society has passed along this news for those of you in the San Francisco Bay Area. There’s going to be free ice cream. The USS Hornet Museum invites families and enthusiasts from across Northern California to join us for the public unveiling of this limited-time exhibit. Monday, April 26, 2010, 2-3:30 PM PDT: We welcome back Dr. William (Bill) Rowe to talk about the possibility of gene modification for long duration human spaceflight. Tuesday, April 27, 2010, 7- 8:30 PM PDT: We welcome back Dr. Robert Zubrin, Founder of the Mars Society, to the program. Dr. Zubrin will be addressing US space policy and more. Friday, April 30, 2010, 9:30-11:30 AM PDT: We welcome Alan Ladwig back to the program. Mr. Ladwig is currently a political appointee of the Obama Administration serving in the Office of Public Affairs as Deputy Associate Administrator for Public Outreach at NASA Headquarters. He served on the NASA Review Team for the Obama transition and upon his return to the Agency served as a Senior Adviser to the Administrator. Sunday, May 2, 12-1:30 PM PDT. We welcome back Dr. Neville Marzwell to the program to discuss the results of his college recruiting tour and the realities facing space and STEM education in the US today. Don’t miss this important discussion.